The majority of Earth's surface is covered with water (71 per cent) but less than one fifth (around 18 per cent) of the ocean floor has been mapped at all. Half of this used high-resolution imagery. Seabed 2030 is hoping to fix this lack of data by the end of 2030. In 2005 a US nuclear submarine hit something solid south-east of Guam. It was reportedly operating at full speed at a depth of about 160 metres when the collision occurred. The nose of the USS San Francisco was so severely damaged that the craft had trouble surfacing. The accident injured 98 submariners. It was later revealed the obstacle wasn't a rival vessel, as speculated, but a large undersea hill. 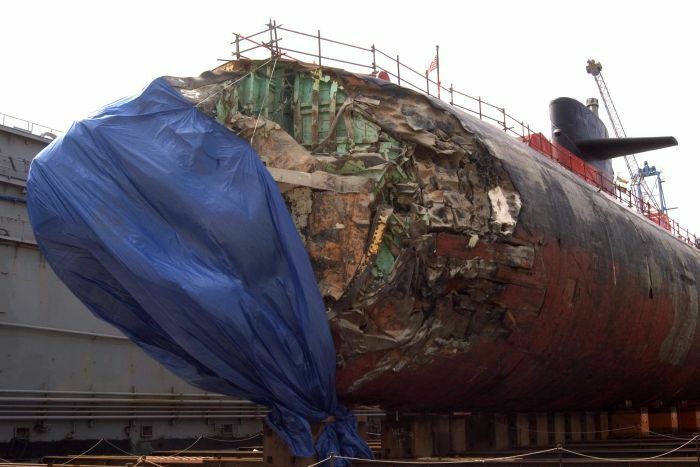 Most of USS San Francisco's crew sustained at least one injury in the 2005 incident. The incident caused huge embarrassment for the world's most powerful military, but it also reinforced how little we still know about the underwater environment. In fact, we understand more about the topography of other planets than we do about our own, according to marine geologist Geoffroy Lamarche. While more than 71 per cent of Earth's surface is covered in water, only around 18 per cent of the ocean floor has been mapped using echo-sounders. And the area scanned using high-resolution technology is smaller still — just 9 per cent. 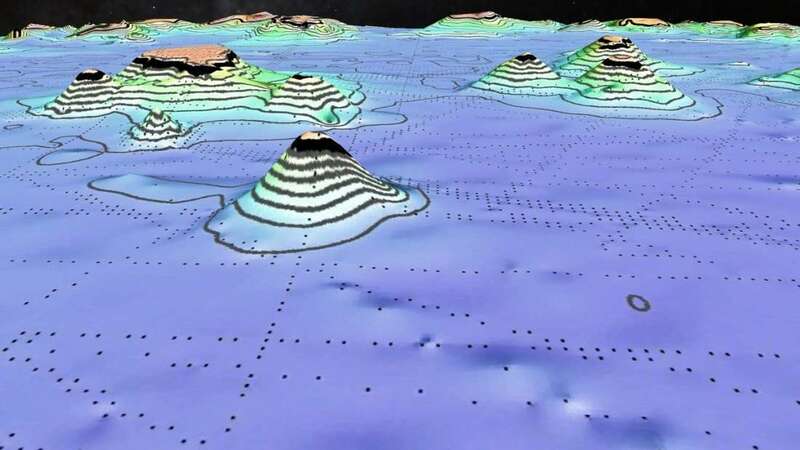 Using newly processed satellite data, the team can pick up seafloor features with a greater subtly and accuracy than previous models, highlighting the presence of many new submarine mountains, known as seamounts, across the Earth’s seabed. 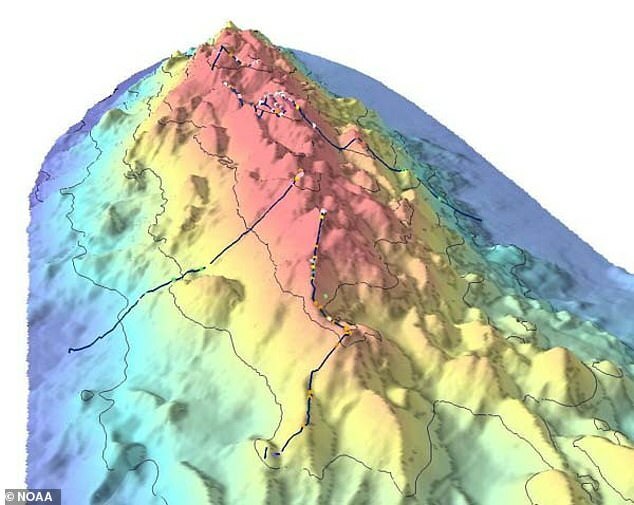 The precise number is not calculated, but the new resolution could detail between 5,000 and 10,000 new seamounts. Dr Lamarche is part of an international effort known as the Seabed 2030 project, which aims to map the entire ocean floor in just over a decade. The collaborative project was officially launched last year and is now just entering its operational phase. According to Dr Lamarche, most "shallow" areas — up to a depth of 200 metres — have already been mapped effectively because of "safety of navigation" imperatives. But it's a different story once you leave the coastal fringe. "If you go to the deep water, to the deep sea, right up in the centre of the Indian Ocean or the Pacific Ocean, you actually could miss entire mountains." Five years after the disappearance of Malaysia Airlines flight 370, the exact whereabouts of the plane remains unknown — another reminder that the contours of the oceans are still largely a mystery. Dr Lamarche says Seabed 2030 will generate the sort of high-resolution data normally associated with land-based or planetary mapping. 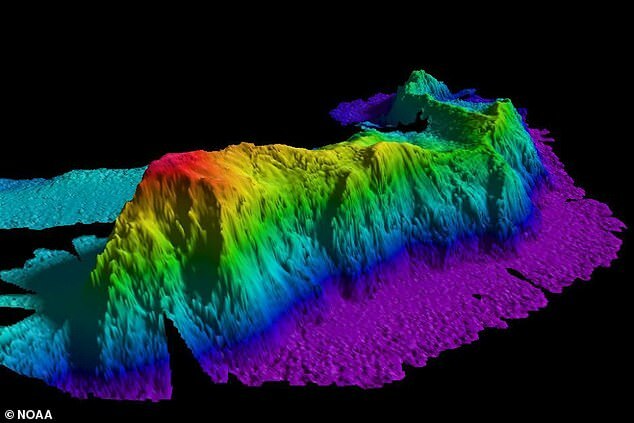 The project, he says, will focus on developing advanced technologies, because light-based mapping tools don't work well in water, and because the type of echo-sounders traditionally used to map the ocean floor are cumbersome. "When you use sound, it takes several seconds to go from the vessel right to the deep water and back to the vessel. On top of that, it diverges into the water and gives you information which is sometimes distorted and then needs to be processed," he says. Seabed 2030 is also using a crowd-sourced approach, seeking the involvement of major shipping, fishing and ocean transport companies, as well as scientists and citizens. "Potentially every vessel that goes to sea could be equipped with some sort of sounder that could capture water-depth information and send it back to our centre," Dr Lamarche says. 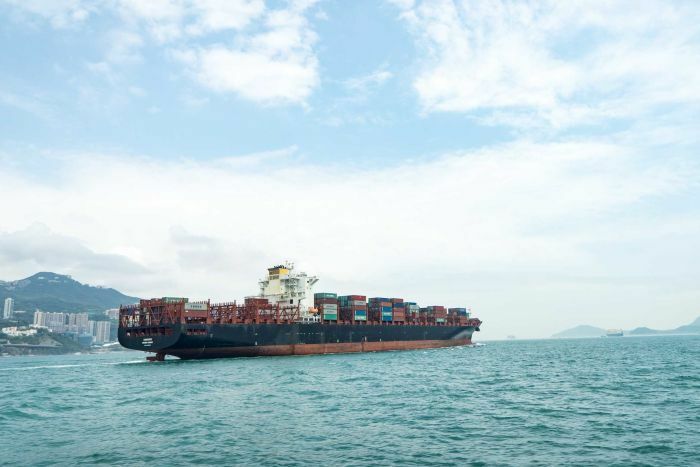 There are also plans to develop new autonomous echo-sounding vessels to cover those areas of the ocean that are rarely accessed by pleasure craft or conventional shipping. The end result, Dr Lamarche says, will enhance navigation safety and greatly expand our understanding of the underwater environment. "People keep saying we don't want to touch the ocean, it's too pristine, it's too rich, but we don't even know what to conserve," he says. "We need to know what's there, to know how to conserve it for future generations." One sector that's long been interested in finding out more about the topography of the ocean floor is the mining industry. To date, no company has been successful in setting up a commercially sustainable seafloor-mining operation, but that hasn't diminished the speculative interest or enthusiasm. Late last year, the International Seabed Authority (ISA) issued permits to 29 contractors. The ISA is an intergovernmental body established under the United Nations Convention on the Law of the Sea. Its primary role is to regulate all ocean-based mining activities occurring in international waters. That is, all waters outside of national regulation. 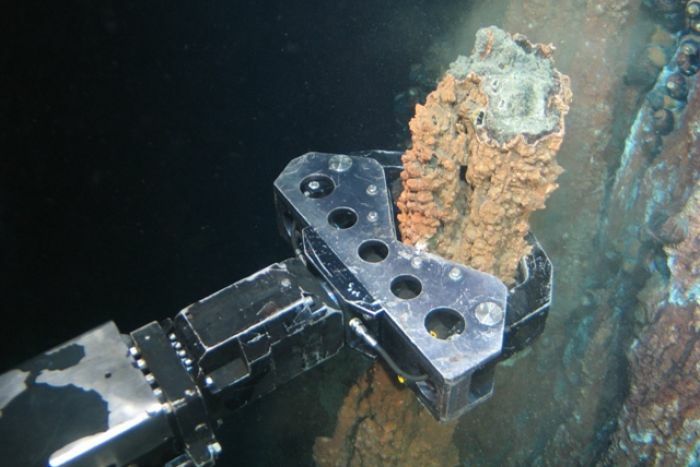 Underwater machines could be used to scoop the mineral-rich edges of hydro-thermal vents. Mining interest to date has primarily focused on vacuuming-up "polymetallic nodules" — the apple-sized chunks of mineral-laden earth that are found scattered across the ocean floor. But there has also been speculation about the viability of large-scale excavation, using underwater machines to scoop up the mineral-rich edges of hydro-thermal vents. "There's cobalt, there's nickel, manganese and other types of deposits," says scientist Carl Gustaf Lundin. "You might also find trace elements of gold and platinum. And there's a fair amount of iron around also." One of the main obstacles to mining the ocean floor is water pressure. The average depth of the ocean is about 4,000 metres and operating any form of equipment under those conditions is particularly challenging. But Dr Lundin, who works for the International Union for Conservation of Nature, believes it's only a matter of time before substantive mining operations begin. He warns of significant environmental damage as a result. "If you think of it, the deep sea is where most of the living space on this planet actually is," he says. "And you are dealing with large machines that could really turn up a lot of the sea bottom and cause significant changes to some of the key habitats down there." Dr Lundin says recent surveys of abandoned test-mining sites from the 1970s show a residual impact. "There is in fact no change from the disturbances that happened back in the 70s until today. So, all the damage that happened is still blatantly visible," he says. He argues all undersea mining proposals should be subject to environmental impact assessments, just as many land-based mining ventures are. 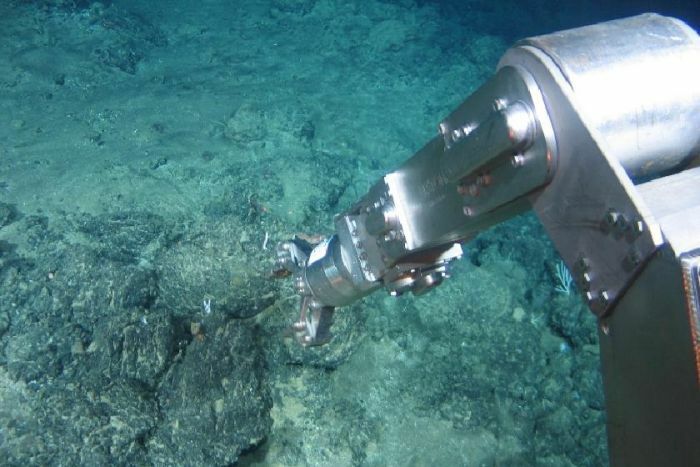 The ISA is currently reviewing industry rules, a move which Dr Lundin believes could be responsible for the current spike in interest for deep sea mining. "A number of countries are positioning themselves in terms of what should be the rules and to also make sure that there is a fair regime in place in terms of equitable distribution of benefits from an industry like this." He also believes some national governments are working to ensure any new rules are stringent enough to cover the potentially negative impacts from seabed mining. But he says at a core level, the ISA needs to re-examine and rethink its own operations. The ISA currently has a dual mandate: to regulate deep-sea mining on the one hand, while actively promoting the industry on the other. Dr Lundin says those roles are conflicting and therefore problematic. "I think it would be much better for the authority to either be a regulator or an industry promoter. It is unfortunate that they've chosen that structure," he says. "That could be rectified. Either they could get out of promoting the industry and do pure regulation, or they could abandon their regulatory aspects and really promote the industry as such." But while he believes such a shift would be desirable, he doesn't expect it to happen any time soon. In the meantime, expectations abound — the ninth annual Deep-Sea Mining Summit is due to be held in London in April.